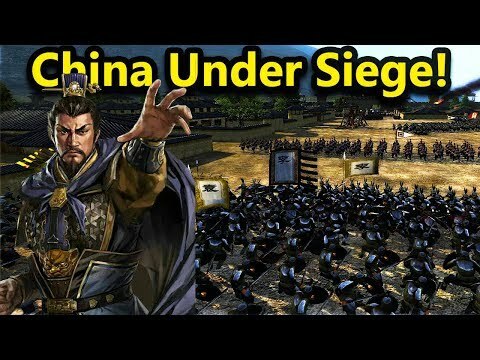 As title says, if sieges are just sending a ram to the main door which is broken in 20 sec and sending my Spiderman soldiers directly to the wall and getting my whole army on the walls in 20 secs, its got no sense playing sieges, no siege equipment, no time to siege, no epic battle, as many people justified no naval battles cause they were useless so no sieges too. Can you please stop making threads about sieges everyday, just write in the original one you created. It's getting annoying. There's siege equipment, it was shown in the gameplay videos so I don't know what you're complaining about. Well...this siege by mr. Juankk escaleted really quickly. Sieges look fine... Can imagine the crazy amounts of complaints CA would get if they just removed siege battle. Grappling hooks are used in various Chinese media of the Three Kingdoms. I don't see a huge problem with them. I appreciate your enthusiasm on the matter, but broaching the same subject over and over with slightly different wording borders on spam, and I fear the moderators may start instantly closing your threads if it continues. Sieges will be in the game. As to whether they match your desires, I suggest waiting to purchase the game until you've seen gameplay of everything sieges have to offer. Problem solved. To be honest you don't need siege equipement . Just use artillery to knock a hole in the wall and walk in. To be honest you don't need siege equipment. Just use artillery to knock a hole in the wall and walk in. Well a player need a strategist in the army to use artillery, so not every army would have artillery. 4 Fully Independent Monogods Armies would be great for a Storyline about the Great Game in Total War: Warhammer 3. The last one was a joke. Honestly that might be fun. They've already confirmed they have rams, siege towers, trebuchets, mining etc. They have multiple layers and non-standard city shapes.. The ram actually takes longer to break down city gates, it happened fast to keep the video moving. Would this could be considered a "troll post"? @CA_Ella I'm not sure if this will actually page you lot so sorry if this is going to nowhere, but can you please confirm or deny that this game will have Siege Towers? This is like the 5th thread in the span of a week on this subject, some dev just popping in to confirm/deny would be nice! I unironically want a siege battle where the attacker must invade a mega-sized siege tower that is always on the move. You can also bring your own siege towers to help with this. It can be treated as a prototype for a Mortal Engines game, which can't possibly be worse than the film. That really doesn't look that great.. it's M2. More importantly he states all the usual equipment in a siege is present, including siege towers. Couldn't artillery be considered siege equipment? More importantly he states all the usual equipment in a siege in present, including siege towers. Not when the same units are available in any open field battle as well. The OP is basically missing siege towers from what he has posted here and previously, even though he's been advised that CA has confirmed their presence. So now that you got your seige your switching to ships? Like I said before, if they didnt put navel combat in Warhammer 2, your not gonna see it in this. Honestly; the spiderman wall climbing can go away and no one would miss it. I'd even prefer the Warhammer 2 instant ladders to the superhuman wall climbing. 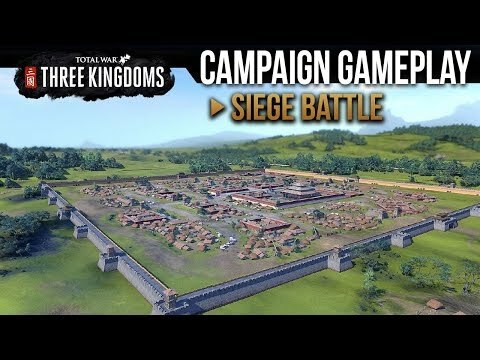 I want the game to have siege maps (and siege play) like ToB, with civilians, fire, siege escalation and AI that defends in depth for those truly awesome and cinematic sieges. The climbing animation has improved since the original release. They move up a lot slower and take it step by step. The point is to allow all infantry types to get over a wall but suffer an endurance nerf, you simply wouldn't get that from a ladder.